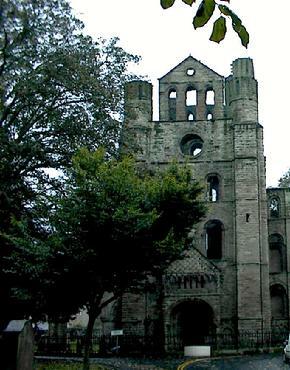 Kelso Abbey had a long term relationship with the Douglases. 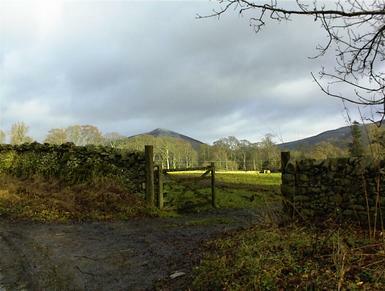 William fifth Lord Douglas and father of William le Hardi was given lands in Ponele, near the affiliated Lesmahagow Priory for his services to the Abbey. 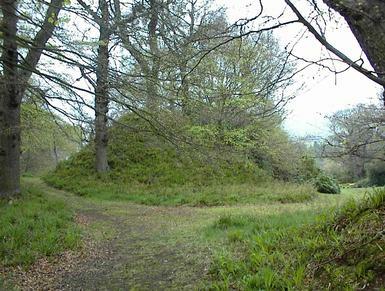 Craig Douglas was another Douglas stronghold in Selkirkshire. 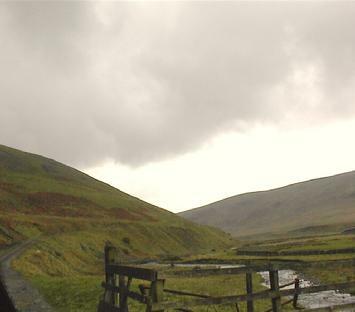 This view of Dryhope and the ruined Tower lies 1.5 miles west from Craig Douglas, on the A708 near St. Mary's Loch. 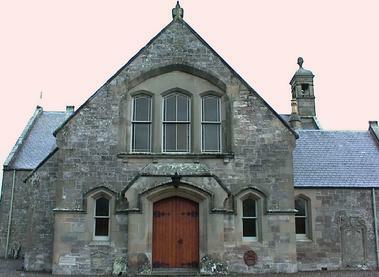 The Auld Roxburgh Kirk was under the control of the Bishop of Glasgow, the noble patriot Robert Wishart, and friend of William le Hardi. In the early 14th century le Hardi's son Hubicus, later Hugh, Lord Douglas, a Canon in the Glasgow Cathedral also held a prebend of the original kirk adjacent to this site. 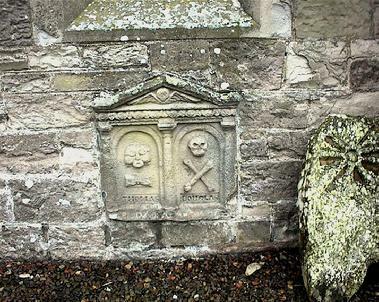 Near the doorway of the Auld Roxburgh Kirk is an ancient cross and a curious carved stone set within the wall: a skull and cross bones, underneath, the name of Douglas; a warning to any members of the Percy family dare they enter the sacred space. 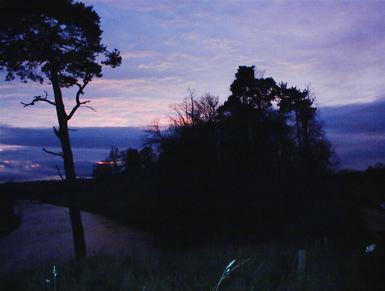 Roxburgh Castle ruins hovering above the Teviot where it meets the Tweed. Robert Wishart, Bishop of Glasgow was held here in 1297. 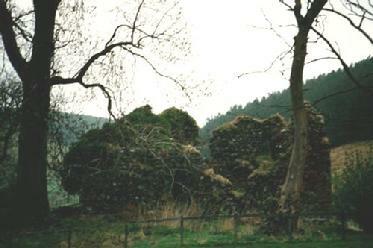 Ruins of the Blackhouse Tower on the Douglas Burn where it meets the Yarrow. 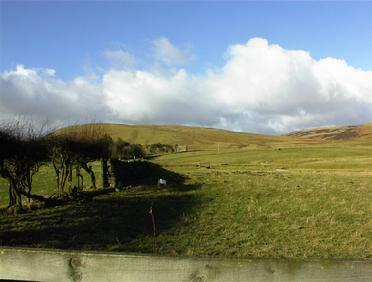 The Olifard's and then de Morays owned lands in the parish of Smailholm. 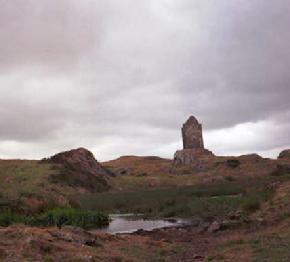 This is the site of a later castle and moat, Smailholm Tower. 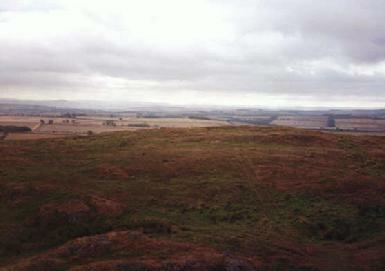 View from Smailholm Tower of the Cheviots and Northumbria.